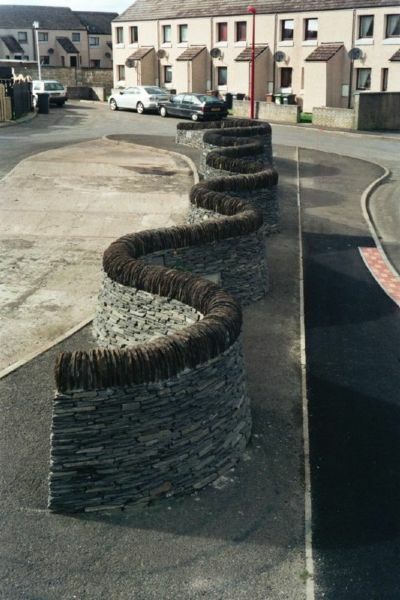 I am a qualified UK Drystone Walling Association Master Craftsman , DSWA Certification Scheme Examiner and Advanced DSWA / LANTRA Trainer with over 32 years experience in walling, community projects , artwork collaborations and training. I am also qualified in masonry work including lime pointing and conservation work. 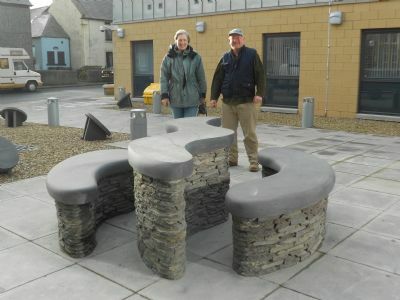 I have been a lecturer in Conservation Masonry for the UHI. Fully Insured for all Stonework, Masonry work and Training Courses. First Aid Certificate , Manual Handling Certificate, etc. I am based near Thurso in Northern Scotland but I travel extensively in the UK and abroad working on contracts , community projects and training. I have won an International Award for my community walling projects , and am a Director of Traill Hall Community Trust. 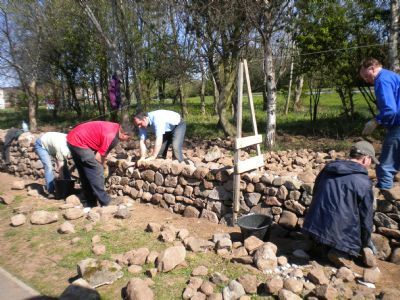 My clients include The Scottish Traditional Skills Training Centre , The John Muir Trust, The Princes Trust, The Princes Regeneration Trust, The Landmark Trust , The TCV ( BTCV ) , DSWA UK , Community Woodland Association, Scottish Crofting Federation, DSC Kentucky, DSWA Australia, DSWA Ireland, Yescommact Finland among many others. Excellent references are available from any of the above. I have been an Instructor / Presenter at the annual Feile nA gCloch ( Festival of Stone) on Inis Oirr in the Aran Islands for Pat McAfee since 2012. I like to provide a knowledgeable and professional service for my clients in both the contract , community and training sectors. My thirty plus years experience has also led the DSWA to ask me to proof-read and contribute to their publications.